Mama of 10 : My House is One Big Hotspot! My House is One Big Hotspot! Does anyone else ever feel like this? You know what a "hotspot" is, right? It's like a little pile of "stuff" that shouldn't be there in the first place and just keeps growing and growing with other random "stuff." I don't know who first named these little spots or discovered that they really do exist but I promise you, they do! You can do an experiment and place a few things on your desk or counter top and watch it grow, practically over night! If anyone thinks that these things really don't exist then you should come over to my house. Here are a few of my "hot-spots" just to prove it. Laundry/mudroom hotspot~ I have a shelf in there for separate items, but notice that there are hats, ballet shoes, baby dolls, baby clothes and belts are thrown together. It is a catch-all spot! The back stairway hotspot~ This is where we place things that need to go upstairs and it inevitably becomes a hotspot real quick. 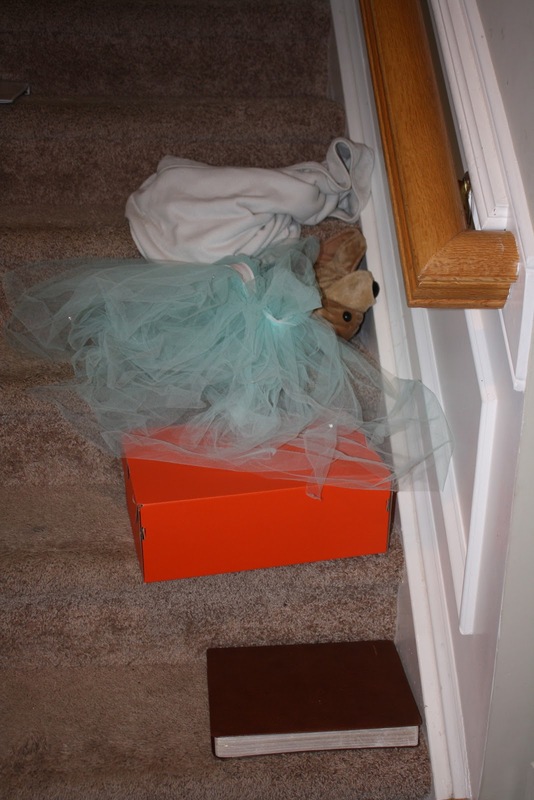 This is actually a small hotspot at the moment, just a big book, a big tutu, a shoe box, a lovey blankie and a bear. But itt is NEVER empty! 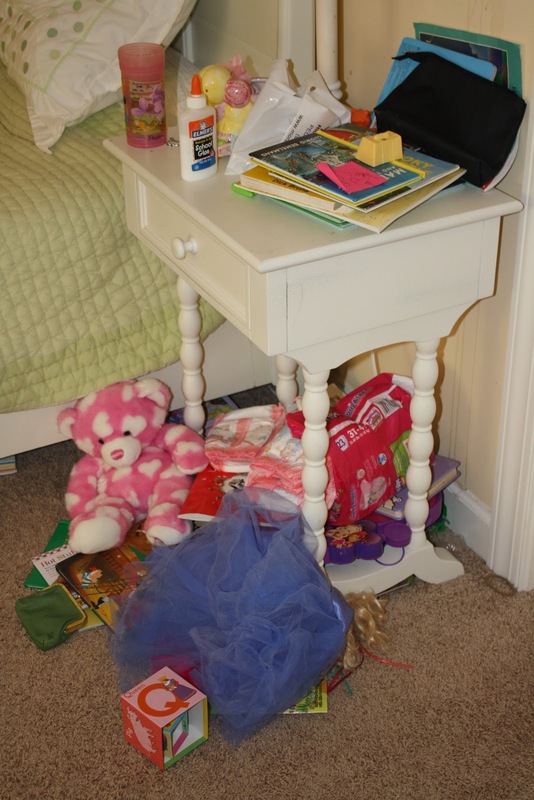 The toy box hotspot~ Why does everything, plus toys, end up in the toy box? When I ask the kids to clean up the living room, they just throw practically everything in, thinking that I won't notice :o) So, books, socks, shoes, dress-up clothes, homework, magazines, etc. get thrown in. Most of the time I can't shut it, which makes it quite an eye-sore. I LOVE YOUR HOUSE!! Seriously, that looks like my dream house. I borrowed a decluttering idea from the Duggars..5 minute clean-ups. At any given time during the day if I start to feel overwhelmed (by hot spots!) I set the timer and yell 5 miunte clean-up! All of my kids run around seeing how much they can clean up and if needed, I assign one of them a hot spot. Works for us! I am sure there will be some great ideas over there. I agree with Patti, we do the Duggar 5 min clean up alot around here. But for the bigger things that need your attention about actually throwing out, I have a new favorite website. 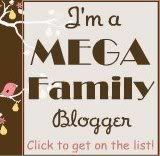 www.flylady.net It's fabulous!!! She breaks it down into days upon weeks upon months, so it's not so overwhelming!!! Good luck!! My whole house is a giant hotspot, too. Many hands make light work - many bodies make tons of clutter. love all of you lots!! Oh...your house is absolutely gorgeous!